This is a page for the many initiatives that contribute to the well-being of rivers. Without some of these initiatives many projects would struggle to succeed so it is important that you know about them and how they can help you. If you know of an initiative that we have not mentioned then feel free to contact us so we can add it. Blue Green Cities is a research project funded by the Engineering and Physical Sciences Research Council. The initiative is made up of academics who specialise in many areas including flood inundation modelling, urban drainage infrastructure and many more. 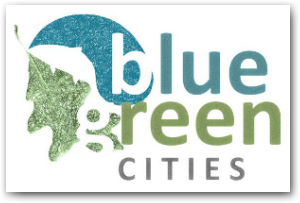 They produce reports, models and presentations to promote the idea of blue green cities. CaBA is formed of a selection of experienced representatives from governmental and non-governmental organisations. They organise and host training courses and conferences to promote best practice in river catchment management. As well as this CaBA also have a newsletter which shares current thoughts and best practices in the catchment based approach. 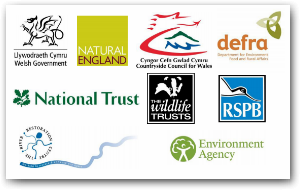 The CRF is an initiative funded by DEFRA which aims to restore natural features, reduce the impact of man-made structures and reduce the impact of diffuse pollution. In total £24.5 million was shared out between 42 successful applicants in 2012. 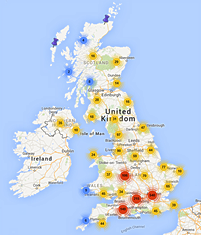 These 42 projects are set to be completed in 2015 when second stage funding may become available. CPAF was a single year (2015- 2016) funding initiative which followed on from CRF. 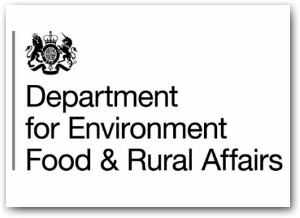 Funded by DEFRA The aim of CPAF was to deliver improved water quality to meet the objectives of the Water Framework Directive. The fund helped to support catchment partnerships and provide a way of funding local projects which addressed objectives set out in River Basin Management Plans. This is a scheme run by Natural England alongside the Environment Agency and DEFRA. The initiative looks to raise awareness of diffuse pollution from agriculture through giving training and advice to farmers. Farmers are able to apply for grants to improve their infrastructure and reduce diffuse pollution entering rivers. This UK Government funded initiative aims to provide evidence for cost effective measures which reduce diffuse pollution in rural catchments. The DTC acts as a focal point for knowledge exchange among those who have interests in diffuse pollution control. 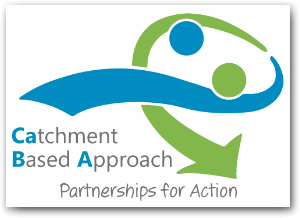 Currently the project is working on four catchments with over collaboration from over 40 organisations from across the country. The Floodplain Meadows Partnership was established in 2007 to help understand how this important habitat functions in relation to soil, water and management changes. 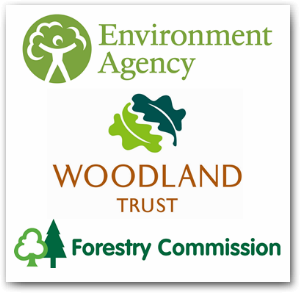 The Partnership is steered by Environment Agency, Natural England, RSPB, CEH, The Field Studies Council and the Wildlife Trusts and hosted by the Open University. IUCN is a global organisation made up of thousands of members. The UK committee looks to conserve natural resources both nationally and globally. In regards to river restoration the IUCN gathers evidence of restoration benefits, looks at the main causes of habitat damage and assesses the current state of river restoration in the UK. An Environment Agency led scheme, the Keeping Rivers Cool initiative is a four year project (2012-2016) which looks to adapt rivers to climate change. The main implementation involves using trees to shade channels and keep water temperatures down. This is a key initiative for Salmon and Trout populations as the temperature of some rivers is above the lethal limit in many channels. 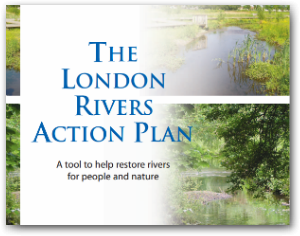 The London Rivers Action Plan was compiled by experts from many organisations. The plan was made for community groups, local businesses, planners and developers to support the delivery of the Thames River Basin Management Plan under the Water Framework Directive. The project aspires to improve natural flood management and reconnect people to the natural environment amongst other things. ‘Pearls in Peril’ is a UK wide LIFE nature project with 22 partners working together to restore river habitats benefiting freshwater pearl mussel and salmonids. Mussel populations have been affected by multiple issues. This project will help to safeguard the future of the most important pearl mussel populations in Great Britain by tackling these threats and implementing best practice conservation methods. REFORM aims to provide a framework to help restoration projects reach ecological targets or potential. REFORM defines a project's success by its sustainability, effectiveness and ability to exploit potential. To fulfil its objectives the REFORM consortium develops protocols and procedures to help organisations successfully complete projects. RESTORE (2010-2013) was a three year pan-European project aiming to build up existing river restoration network capacity, promote effective knowledge transfer and support river restoration practices across Europe. The RRC acted as the lead for the western region and is continuing to manage the EU RiverWiki. Another key output was the 'Rivers by Design', a step-by-step guide to plan, design and review a successful project. The Water Environment Fund (WEF) is a run by the Scottish Environment Protection Agency (SEPA). It provides funding to restore the physical condition of rivers and lakes in Scotland, primarily to achieve the objectives of the River Basin Management Plans, and aims to create as many multiple benefits as possible. Funding is administered by SEPA with the help of Scottish Natural Heritage, the Forestry Commission and the Scottish Government. This initiative was established following the Pitt review in 2007. The report stated that the Environment Agency and Natural England should work with partners to establish flood plans that achieve greater working with natural processes. The initiative looks to deliver information, advice, tools and techniques.